Approximately 30,000 people in the United States are diagnosed with cancer every year, and every year oral cancer claims the lives of about 8000 people. Oral cancer is approximately twice as common in men as in women. Oral cancer is often diagnosed at a late stage, causing more deaths than necessary. White, bright red, or mixed bright red and white patches in the mouth. 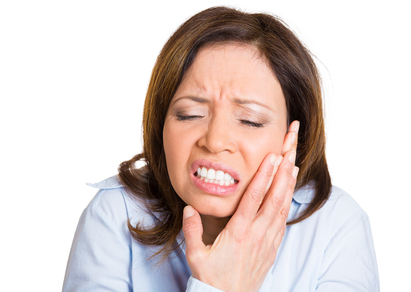 Lumps, swelling, or numbness of the face, neck, lips, or mouth. Sores on the face, neck, lips, or mouth that are unhealed after two weeks. Any bleeding inside the mouth. Hoarseness that does not improve after a couple of days. If you notice any of these symptoms, do not panic as they can result from other causes besides cancer, but contact your doctor as soon as possible to be sure. Regular self exams are a good idea, but your dentist can catch things you might miss. If any areas of concern are identified a biopsy can be performed to confirm the diagnosis. Early detection of cancer is vital to survival. Tobacco use – Approximately 90% of people with oral cancer use some form of tobacco including cigarettes, pipes, cigars, or chewing tobacco. Cancer risk rises with the amount of tobacco used and length of the habit. Excessive alcohol consumption – almost 80% of people with oral cancer are heavy drinkers. Combining tobacco use with alcohol consumption significantly raises the risk of developing cancer. Sun exposure – Exposure to the sun or to ultraviolet rays from tanning beds can can lead to cancer of the lips as well as skin cancer. Age – Oral cancer risk increases with age. Half of all oral cancer patients are over the age of 65 and the majority are over the age of 40. Inflammation – Irritation of mouth tissue can lead to sores and ulcers that are at risk of becoming cancerous. Oral cancer has been blamed on ill fitting denture though some studies indicate denture wearers not more likely to develop oral cancer than people with natural teeth. However, some believe that dentures that do not fit well may hold cancerous substances, including tobacco particles and alcohol residue, in contact with gum tissue, which can increase the incidence of oral cancer. Inflammation and irritation can be reduced using small-diameter implants to stabilize the dentures and prevent friction and pressure spots. If you live in San Diego and oral cancer screening, Call (619) 640-5100 for a free consultation with Dr. Daniel Vinograd. Are Braces The Right Choice To Straighten Your Teeth? All Copyright © 2019 biocompatibledentist.org or its affiliates.